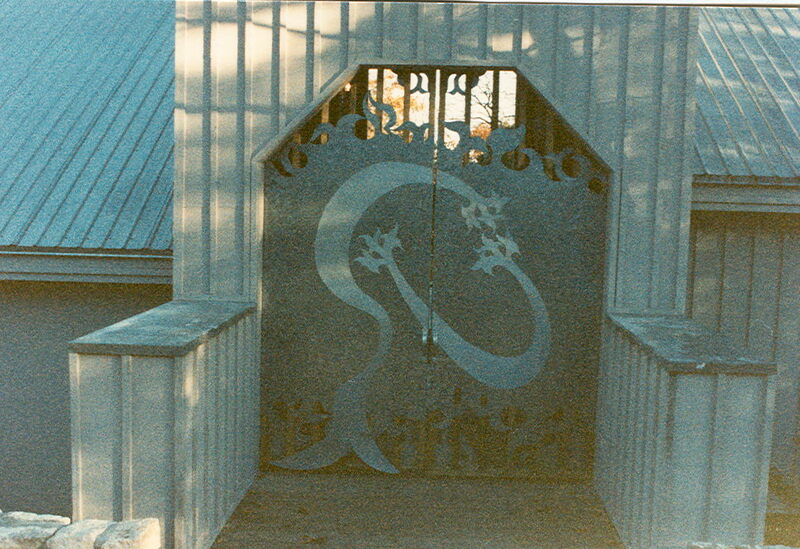 Robert's specialty in metalwork has been illustrated in previous sections of this web site. 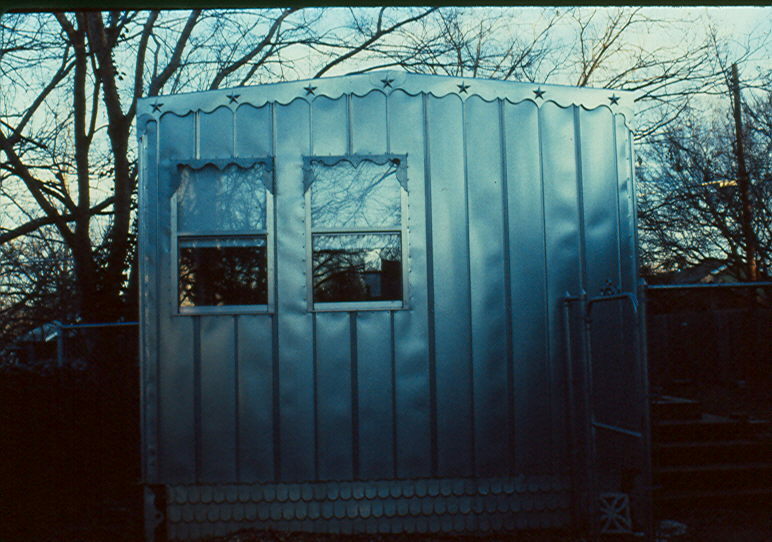 This webpage will display additional examples of his work. 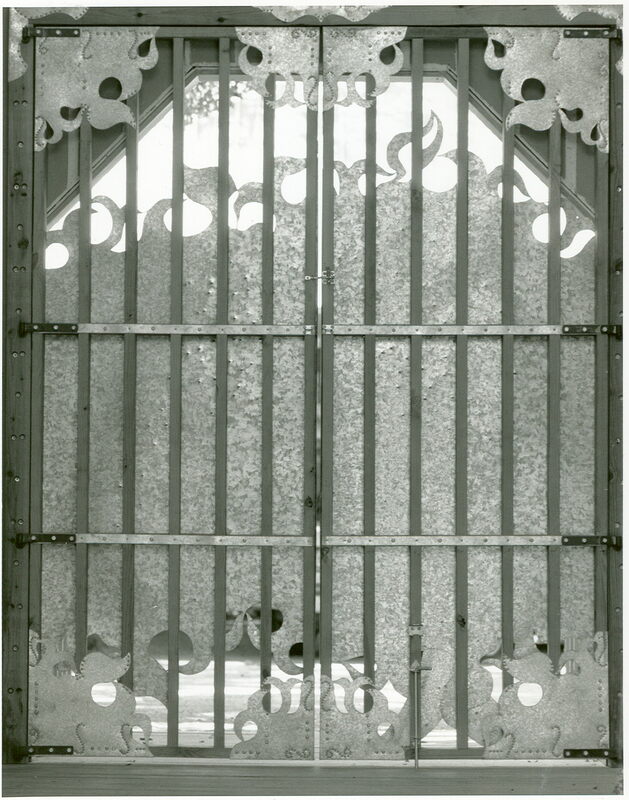 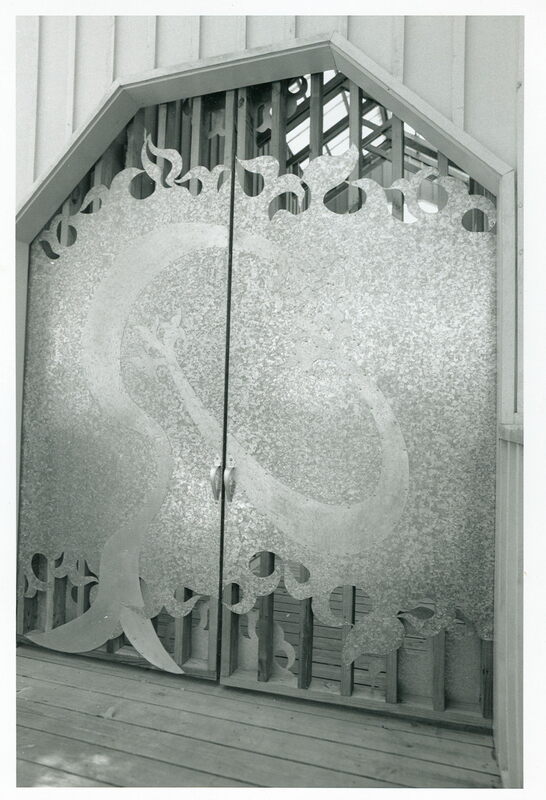 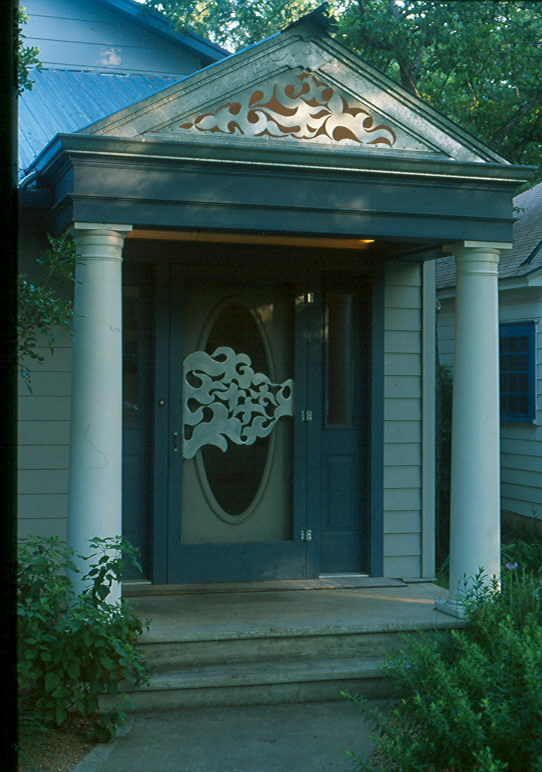 The architect Charles Moore commissioned Robert to design a special project for his own home, an outer gate to his courtyard and residence. 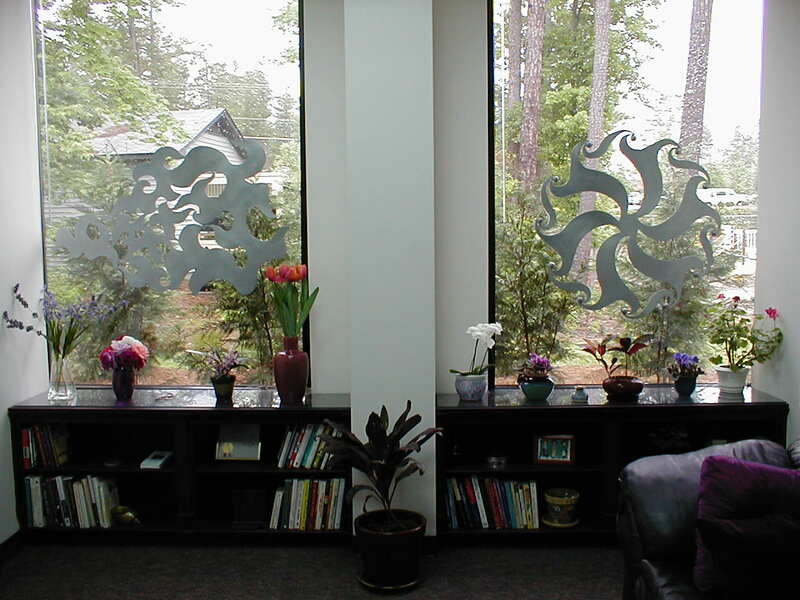 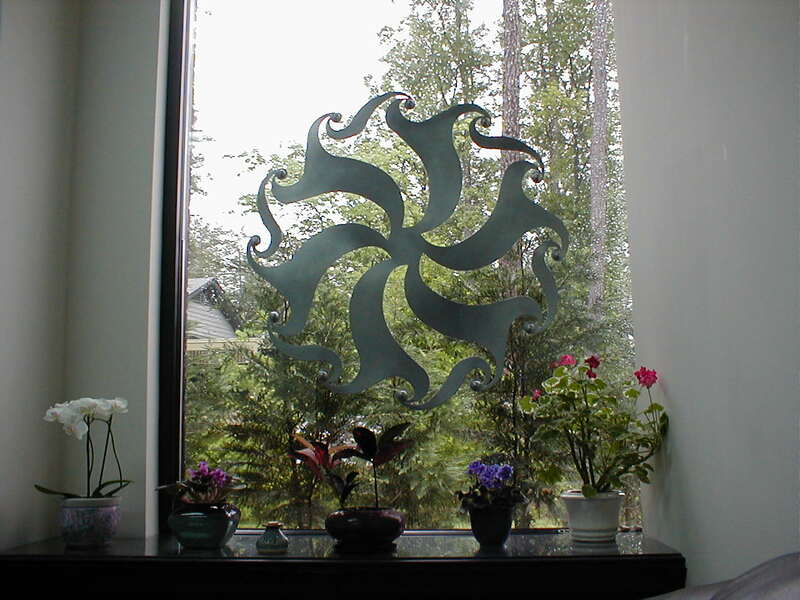 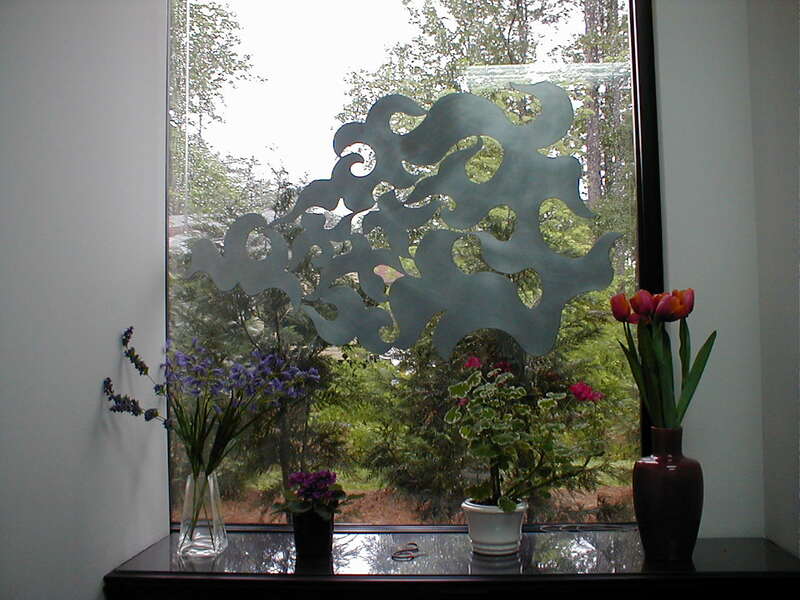 Metal sculptures for office window designed to draw eye inward and block distractions outside window. 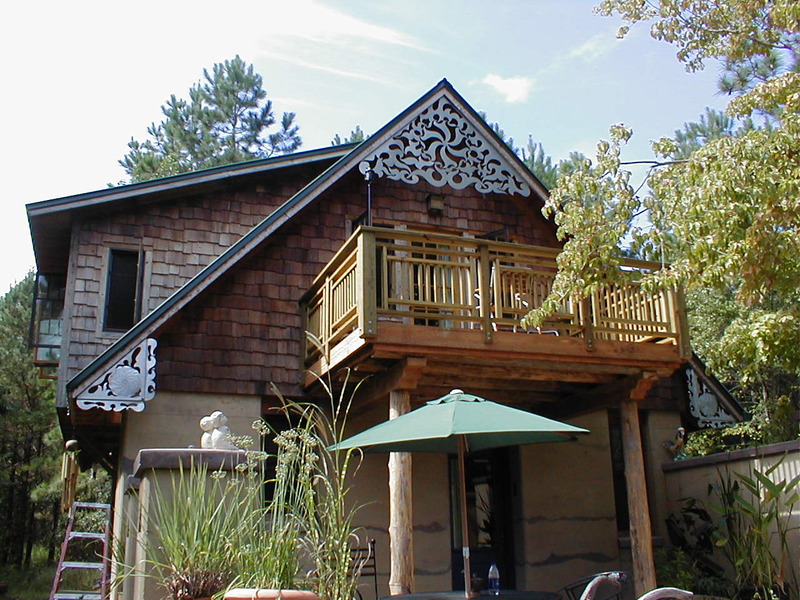 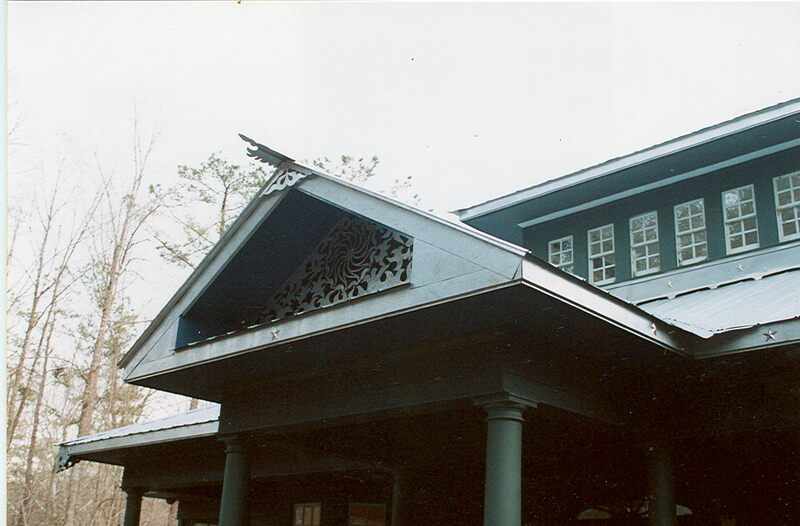 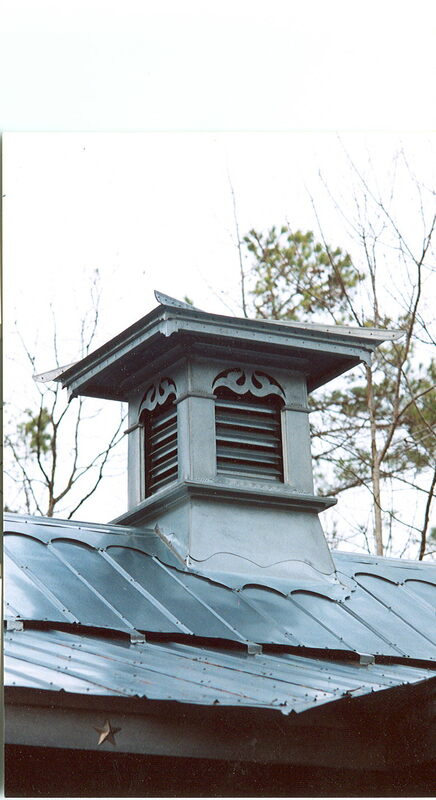 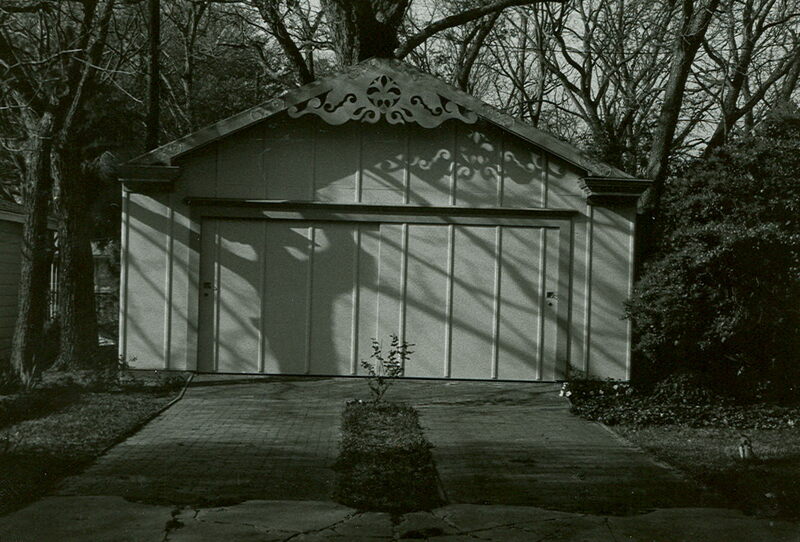 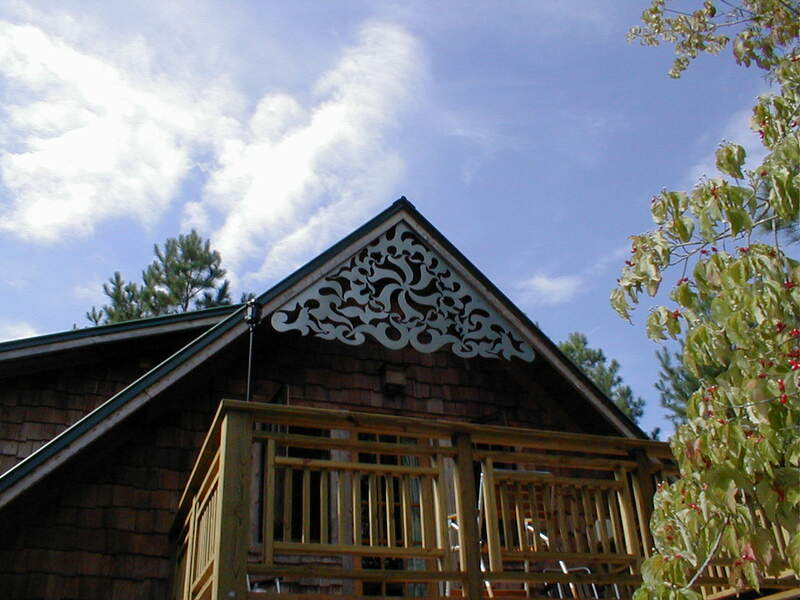 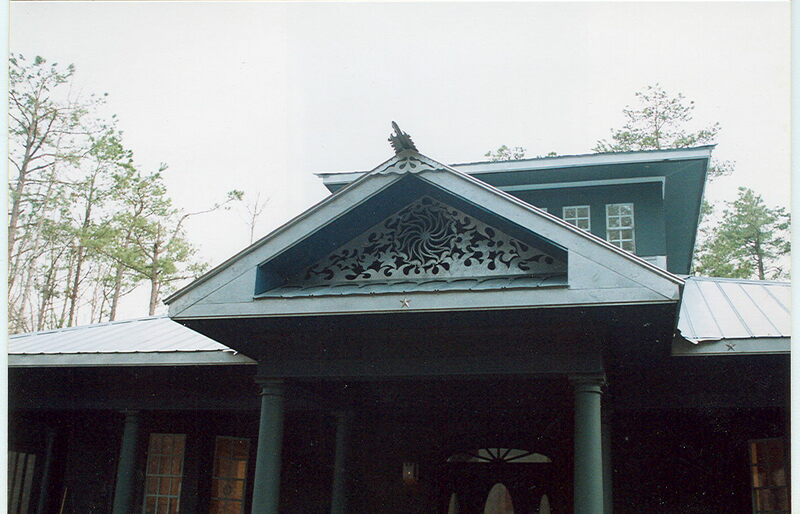 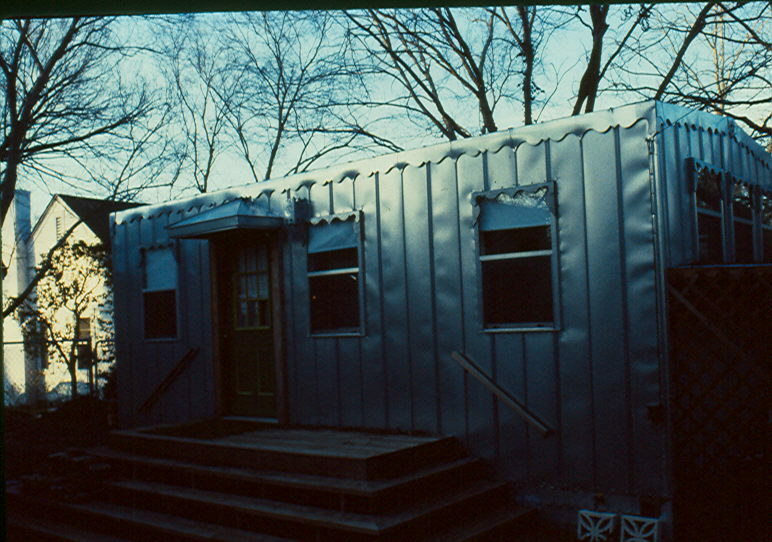 Robert was commissioned to build a house with specialty metal detailing some of which is portrayed here. 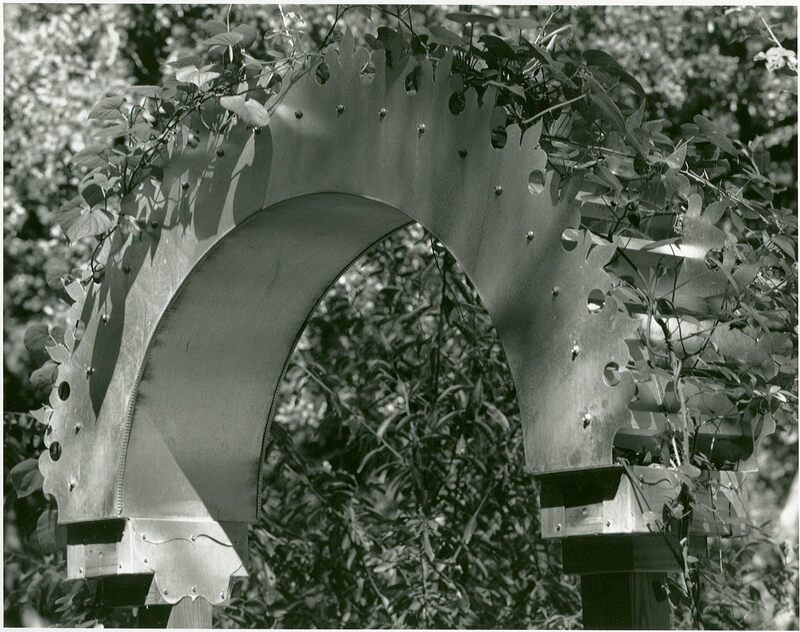 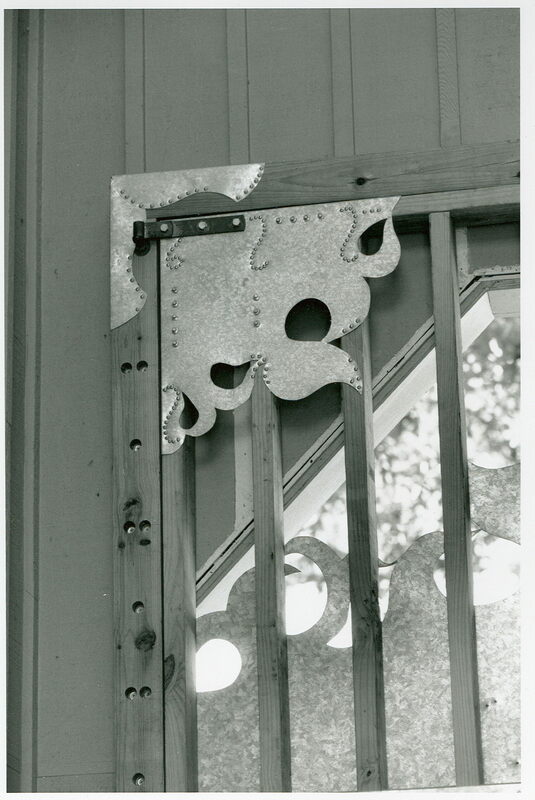 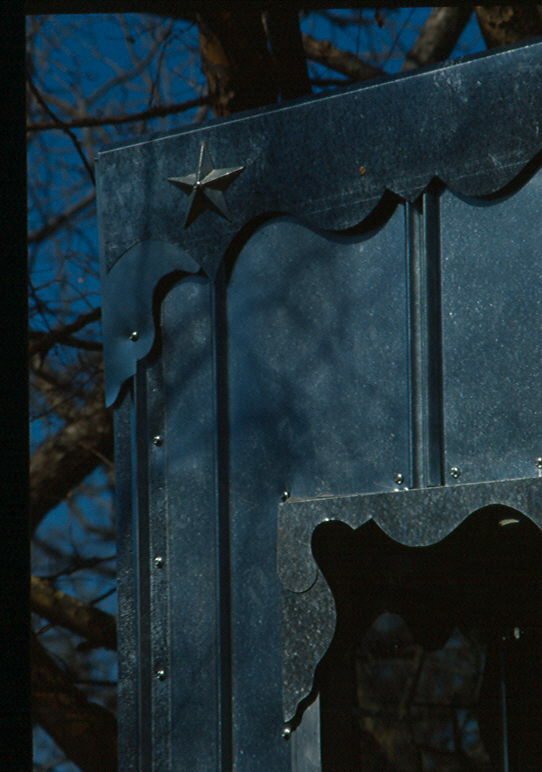 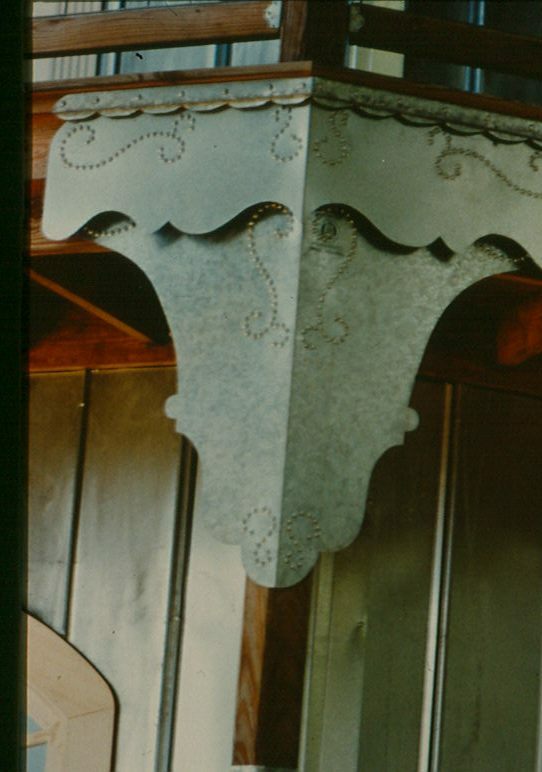 As previously described in the Recognitions and Awards section of this web site, Robert designed metal panels for a gazebo on Austin's Town Lake. 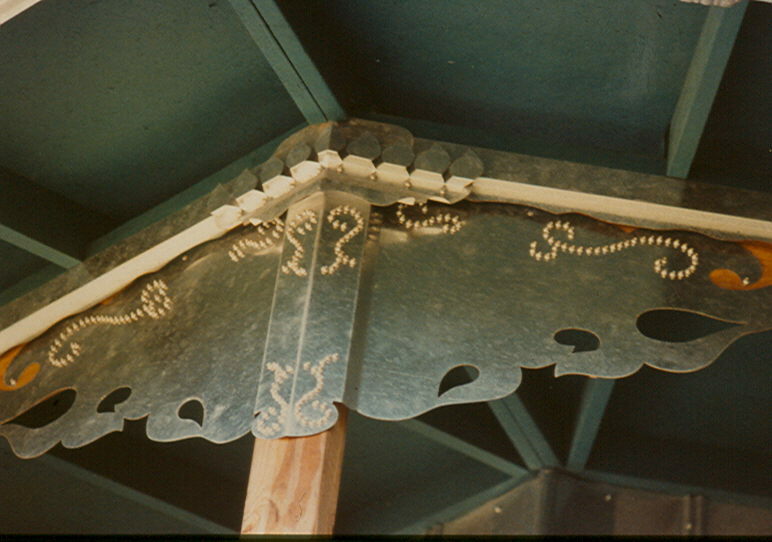 The picture to the right shows the construction of one of the panels used in the gazebo. 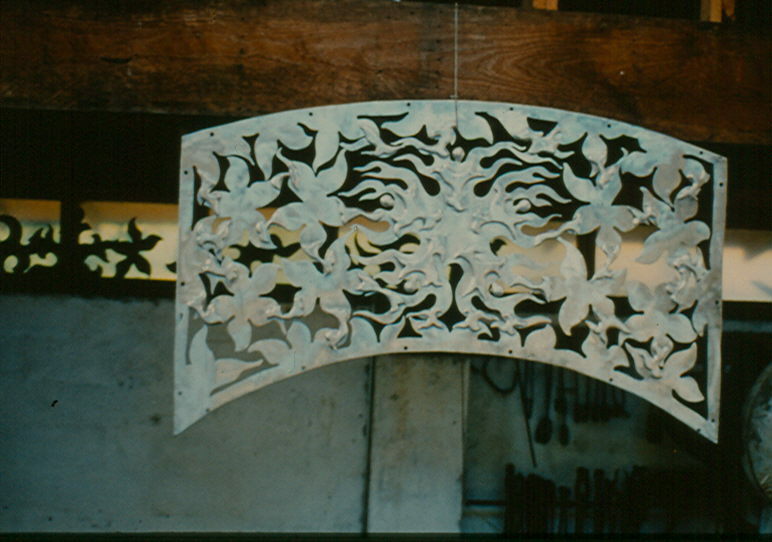 The picture illustrates the smaller pieces that were plug welded to the back to hold the metal sculpture pieces together. 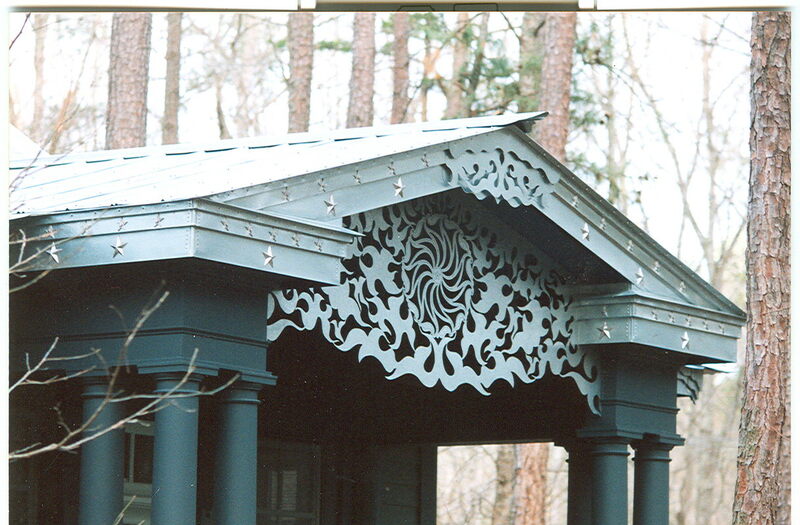 Metal cupola for Forest Garden office designed in three pieces then transported to the roof using a crane. 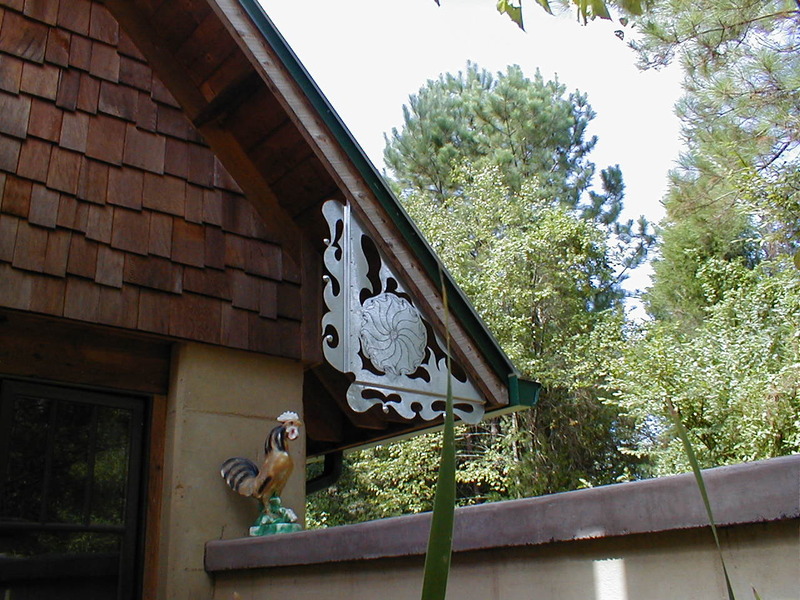 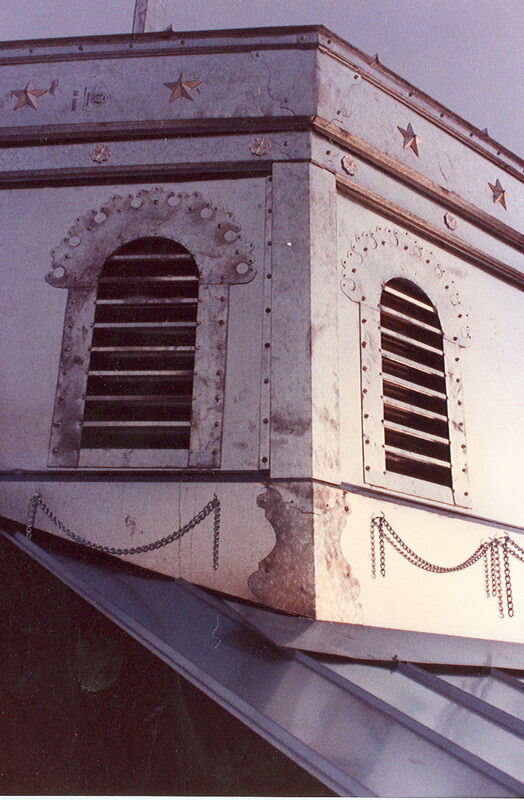 Robert has designed Gable ornaments, finials and other metal work pieces for many residences, some of which are included herein. 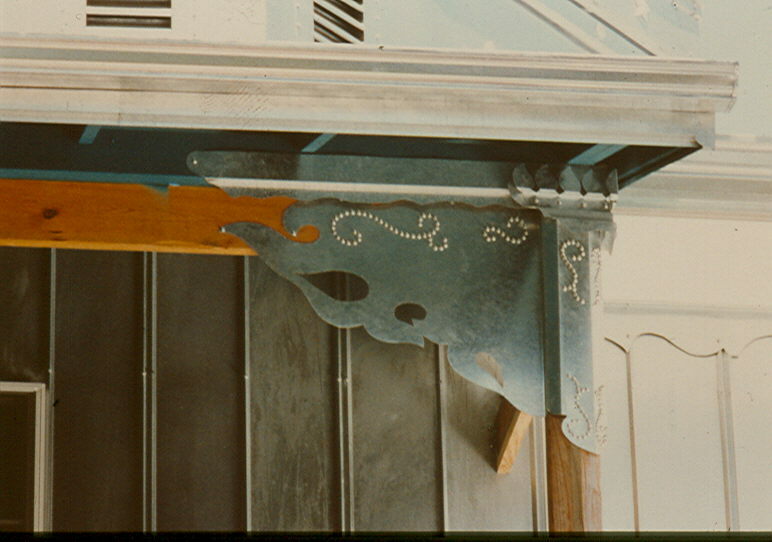 Some metal detailing as aesthetic qualities to a building as well as performing practical functions such as anchoring joints to columns. 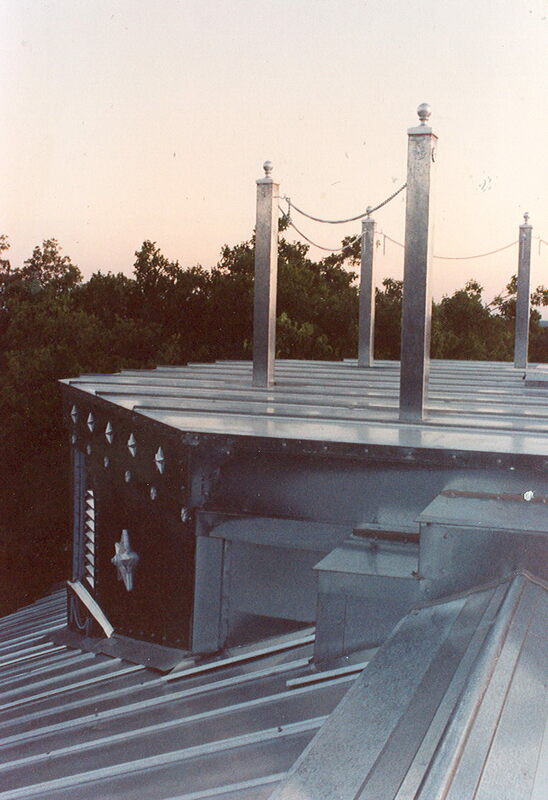 Some examples follow. 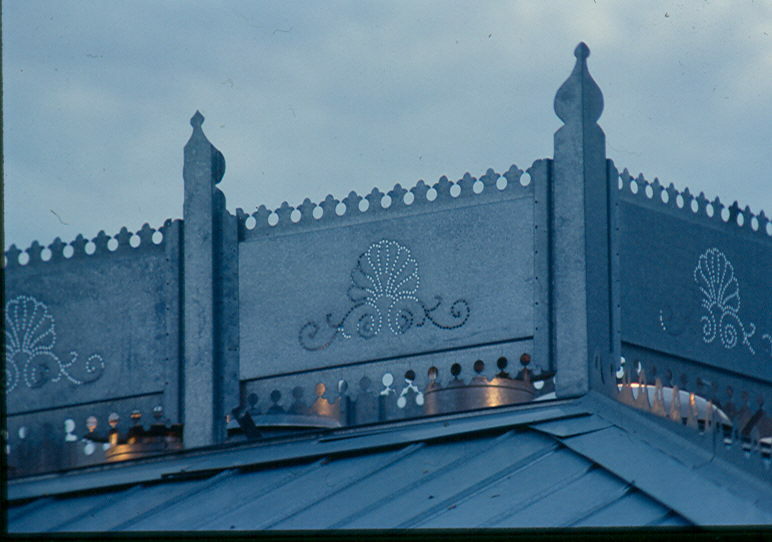 Note headdress of "Wind Spirit"